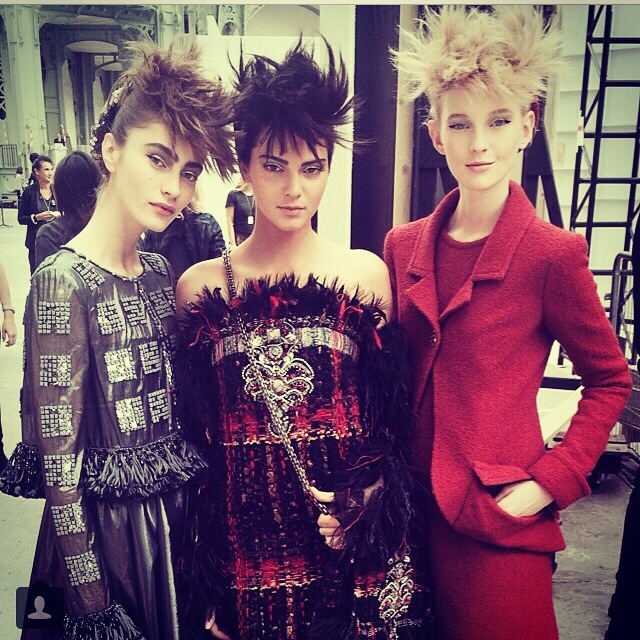 Karl Lagerfeld has made us want trainers and backpacks and now he’s making us want Mohawks. 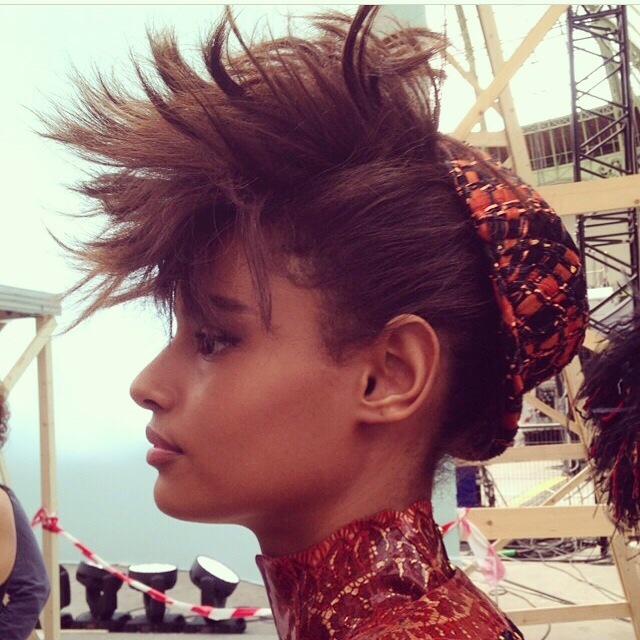 For yesterday’s Chanel Couture show, Karl Lagerfeld and hairstylist Sam McKnight refashioned the hair of fashion’s top girls into 80s boyband stars, with slicked back sides and mega quiffs. Models Sam Rollinson, Ming Xi, Kendall Jenner and Malaika Firth were photographed Chanel’s tweed dresses and embellished gowns, but it was the backstage selfies in their white top and stonewashed jean model uniform that made this a look to consider wearing out. 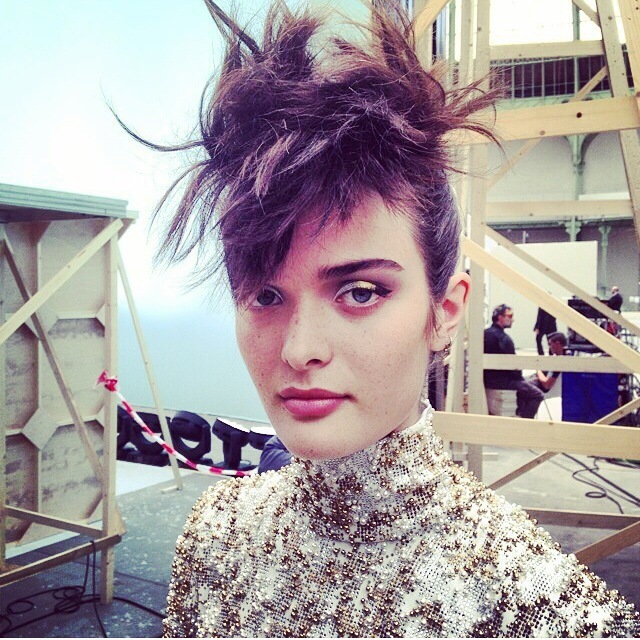 What Blush loved most was the sharp silver swept across models’ eyelids, offset by a strong groomed brow. King Karl does it again. All around stylish chic. Who did the make-up? Fauxhawk hair style looking good. Haute couture J’adore!